Who doesn't love a perfect cup of espresso? It is one of the most popular beverages anywhere around the world. In Italian Coffee Shops, you won't believe the number of espresso that are prepared on a daily basis. And what makes customers coming returning is the quality of the espresso.  So if you are in the coffee business or planning to start up your own coffee shop, espresso is something you can't miss to offer to your clients. And to have them come back you need to serve the best you can. This starts with picking a commercial espresso machine that can live up with the expectation. Go and ask any barista and they’ll tell you that making espresso is actually art. Some may consider espresso as a simple wake-up shot, but there really is much more to it than that. If you don't really want to break the bank, you can always go for one of the super automatic or semi-automatic machines. But they are mostly home espresso machines and you won't really get anywhere close to a barista-made cup of espresso, especially if you are considering one of these machines to start up your coffee shop. So first you need to define your exact needs. If the espresso is going to be a distinctive part of your business, then you need to be serious in your choice and that's why you're here. According to a study conducted by Zagat in 2015, 82% of coffee lovers in the US drink coffee on a daily basis. Latte art is becoming more popular with every passing year, so people are willing to pay $5.07 on average for a cup of Joe prepared by a professional barista. Roughly speaking, that means that investing in a commercial espresso machine for your coffee shop makes sense. Choosing the best commercial espresso machine calls for a lot of research and decision making. First of all, you need to decide whether it fits your cafe in terms of dimensions. Also, you need to carefully calculate whether you'll be able to make enough custom drinks on it to suit the volume and needs of your future customers. Of course, budget is one of the most important variables in your calculations. Keep in mind that every cafe has its peak hours. This means that you won't have the same number of orders at all times. If you're planning on opening a fairly high-volume cafe, be prepared to dish out up to 250 orders and more in one single hour, which means four beverages per minute. For that, you will need a very powerful machine, capable of keeping the water heated for more than one hour, and it needs to brew countless espressos for hours at times. Also, it needs to be able to handle such tasks on a regular basis, for many months and years. There are simple automatic espresso machines which can handle most needs, but you don't really have much control over the brewing processes, and that won't bring you that many customers. We've gathered six semi-automatic commercial machines which need to be operated by trained baristas. These provide you with the utmost control over all the processes involved. You can control the quality of the drinks, the water temperature, the pressure, and many others. These are highly important as they offer you the possibility of creating custom drinks. This is how you'll be able to create a cup of espresso that will keep your customers coming back for their daily shot of hot brew. Before we delve deeper into the nuts and bolts of the six best commercial espresso machines we've gathered here, check out this video to give you an even better idea of what you're supposed to look for. Let's start off with a pair of 2-group models – the Nuova Simonelli Aurelia II Volumetric and La Pavoni Bar-Star 2V-R. In case you didn’t know, Nuova Simonelli is one of the most famous espresso machine makers, with a very strong heritage. It is an Italian company that started making sophisticated espresso machines back in 1936. We’d also like to mention that their machines have won the Compass d’Oro for highly innovative designs and they’ve also won the World Barista Championship. Once you’re aware of these facts, you can’t really expect anything but sheer perfection from Nuova Simonelli commercial espresso machines. The 2-Group version from the Aurelia II Volumetric line of products is a magnificent piece of machinery that comes with a 3M water filter system, along with an espresso starter kit. It’s a rather bulky piece of equipment that features a 14L boiler, so it can make a lot of shots continuously. Another highly convenient feature is that it comes with a direct water connection, so you don’t have to refill it manually. Let’s break it down into a simple list of pros and cons, so you can better understand its features and options. Commercial steam wand: Unlike the Pannarello steam wand, this one is a rather hard one to master, but once you manage, it will reward you with amazingly rich milk froth. This is very important if you want to make other types of espresso-based beverages. Also, having two steam wands makes it possible to froth milk twice as fast. Pressure gauge: If you want to make the perfect espresso, you simply need a pressure gauge in order to have the best control over the extraction quality. In case you hadn’t noticed, Italians are very passionate about everything, especially the visual appeal of things. Their espresso machines are another great example of this. Like some sort of race car, the Bar-Star 2V-R comes in bright red and simply commands your attention. La Pavoni is a well-respected company that dates back to 1905 and takes great pride in producing top-of-the-line commercial espresso machines. The first thing you’ll notice once you get over the color is its very appealing retro design. This machine will look good no matter the interior style of your cafe. Once again, let’s break it down to a few of the most important pros and cons. Only comes with 2 group heads, so if you want to produce massive amounts of espressos per day, you may want to check the 3 or 4 group options we listed later in this article. So far, you’re probably wondering whether a 2-group machine is really the best commercial espresso machine. Let’s step up the game and take a closer look at our 3-group contenders which can serve even more beverages due to an additional group. Just like the previous gem from the Italian masters La Pavoni, this is an exquisite piece of coffee-making machinery. The main difference is that it has 3 groups and so it can deliver 50 percent more beverages than our previous contender from the same manufacturer. 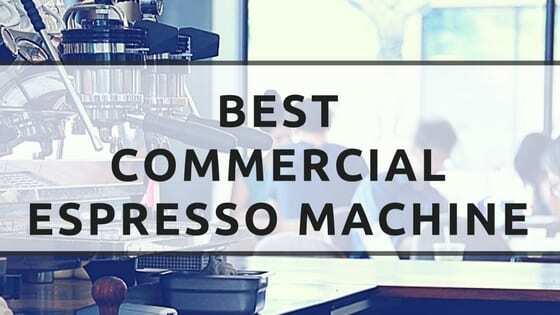 In order to understand why it’s included on our list of best commercial espresso machine reviews, we strongly suggest you take a quick peek at the list of pros and cons. When compared to the magnificent visual appeal of the La Pavoni espresso machines, this one doesn’t look that promising – but don’t let that fool you. Let’s take a brief look at its features by means of a good old pros and cons list. Compact design: Even though it isn’t that beautiful to look at, it’s compact and can fit your cafe rather nicely without affecting the overall visual appeal. Color options: You can choose between three different finishes - black, red, and silver. Three different steam wands: 3 groups, 3 separate steam wands and another one just for hot water. How’s that for versatility? Aside from the somewhat generic design, it’s really hard to pinpoint anything we didn’t like. Have you found that 2-group and 3-group espresso machines simply won’t cut it? That’s quite OK, you have big plans for your cafe and you need to make four beverages at once. No problem at all, let’s take a quick look at some of the best 4-group espresso machines out there. Are you ready to enter the world of digital controls for your espresso machine? The best commercial espresso machine surely comes loaded with numerous breathtaking features, and digital controls are commonly among those. Baristas everywhere around the world simply love these machines as they are made to provide customers with the ultimate beverages. Let’s take a closer look at its features, once again using the list of pros and cons. Aside from the fact that it doesn’t really come cheap, we can’t find any flaws associated with this magnificent espresso machine. Last but not least, let’s take a look at what La Pavoni has to offer in 4-group commercial espresso machines. As you’ve probably noticed so far, their espresso machines simply look the best. Aside from the wonderfully curved exterior design, you can’t help but notice the deep golden black finish. Let’s take a closer look at some of its features by means of a pros and cons list. The only thing to note about the Bar-Star 4V-B is that its curvaceous lines can make it not easy when you want to clean the inside of the machine. Ok, you’ve done your own research on commercial espresso machines, but now that you understand the fundamentals behind several cutting-edge products, it’s time to make the final decision. You’ve also carefully calculated how many beverages you need to serve in your cafe on a regular daily basis. The main question now is whether you need a 2-group, 3-group or 4-group espresso machine. We believe that a 3-group machine will handle most situations, but if you really have big plans for your cafe, go for a 4-group espresso machine. In light of this, our recommendation goes to the La Pavoni Bar T 3L-B as the machine which will well answer all your espresso - flavored clients. It isn’t the most expensive out of the bunch, but it simply gets the job done the way it’s supposed to. Your espressos will be the talk of the town. That being said, you can’t really go wrong with any of the machines featured here.